Make the most out of your trip by taking advantage of our Sherman Oaks hotel deals. Designed to maximize comfort, convenience and affordability, our packages and special offers make planning your trip a breeze. Book direct with us to save up to 15% off our Best Western low price. 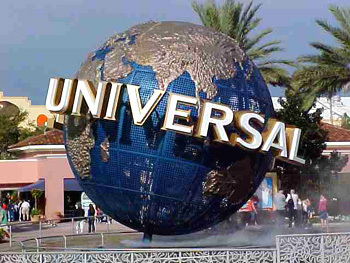 Enjoy our special area packages, including a Universal Studios Package tailored specifically for you to be able to enjoy the thrills and excitement of the Hollywood theme park. And are you planning to fly in our out of Bob Hope Burbank Airport or Los Angeles International Airport? Travel with ease by booking our reasonably-priced SuperShuttle. No matter your needs, there’s a great hotel deal near Los Angeles just waiting for you. Discover your Los Angeles area home away from home at the Best Western Plus Carriage Inn, where business and leisure guests are treated to exceptional service and unparalleled amenities. Unwind after a busy day of work or exploring all the popular attractions in the Los Angeles and Santa Monica area by sinking into your plush bed or lounging in the heated outdoor pool. Or why not treat yourself to a drink or two at our 24-hour restaurant? 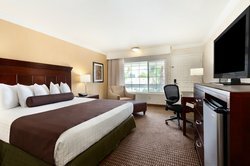 Our affordable hotel in Sherman Oaks, California has it all! Check this page often to learn about the latest offers and promotions available at our hotel. Save up to 15% off any published rate! When guests book direct with the BEST WESTERN PLUS Carriage Inn they always receive the best price. Take up to 15% off our already reduced price and book today. Stay at the Best Western Carriage Inn, located in the heart of San Fernando Valley just minutes to Universal Studios Hollywood. Go behind-the-scenes on the world-famous Studio Tour for an insider’s peek at sets from your favorite movies and TV shows, including The War of the Worlds, Universal Pictures’ King Kong and The Fast and the Furious: Extreme Close-Up. Face heart-pounding special effects at every turn on the Revenge of the Mummy roller coaster, raging dinosaurs in Jurassic Park® and defy every dimension at Shrek 4-D™, an ogre-the-top adventure. 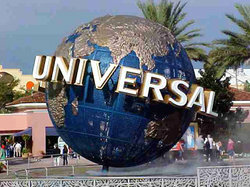 Add a classic Hollywood finish to your day, at Universal CityWalk® with 24 great places to eat, 19 movie screens, hot nightspots and more.